One of the major differences between self-ligating braces and traditional braces is the absence of elastic ligature. 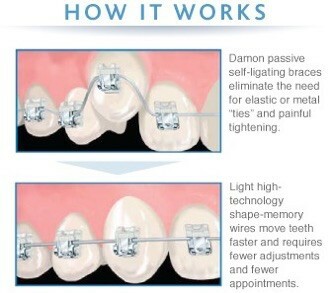 Self-ligating braces use an aesthetic metal door or clip to keep the arch wires in place. They cause less friction and are more comfortable on the teeth and the gums and more Hygienic .With a fewer no. of components looks much neater and easier to maintain active clips reduces the frequency of appointments. They are available in both metal and ceramic.